Major touring stage shows, internationally-known performance groups, various roaming musicians and more make Dollywood’s Festival of Nations a fun, educational and exciting experience for your family. Authentic international cuisine and the daily celebrations by visiting nations throughout the Dollywood park provide guests with an escape around the world without leaving the heart of the Smokies. 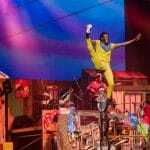 Drumstruck presents exhilarating traditional African beats, an incredibly talented cast and uncontainable, explosive energy in this interactive drum-theatre experience. The cast of this show will share the history and culture of the Andes Mountains and Ecuador. It is another great, high energy show seeking to promote friendship and peace across the world. This group is a returning favorite. The musicians and the sounds of their steel instruments will bring to life the islands of the Caribbean. De Temps Antan features songs with a hint of contemporary—dosed with uncontrolled laughter, deep-rooted couplets and sudden impromptu shifts. This trio of musicians from Quebec tell stories through familiar and traditional French-Canadian tunes. Les Grands Hurleurs play music anchored in tradition and steeped in numerous influences. 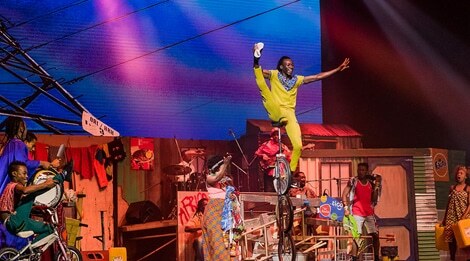 Audiences will be delighted with a tour of their talents where instruments change frequently, the energy stays high and the bond between audience and performer is showcased.